Sometimes, only a part of a piece of music is needed to be used as a cell phone ringtone. So, cropping audio files is needed. In this article, I tell you 3 different audio cropper tools to crop audio files online and offline. If you do not have cropping software, do not worry, and please use an online audio cropper, Online Audio Trimmer. It is a website that enables cropping audio file online. With it you do not need to download software to your computer. Just open that website through your browser so you can begin to crop audio file. Supported input audio formats of that are MP3, WAV, OGG, 3GPP, M4A, AAC, AMR, FLAC, AIF. 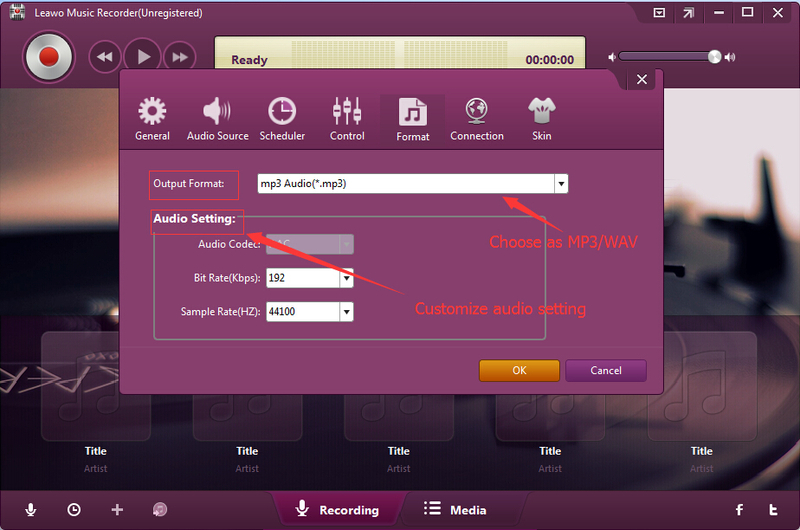 And the output formats are MP3 and M4R respectively for Android and iPhone. Using that online audio cropper is very easy, please read details below. 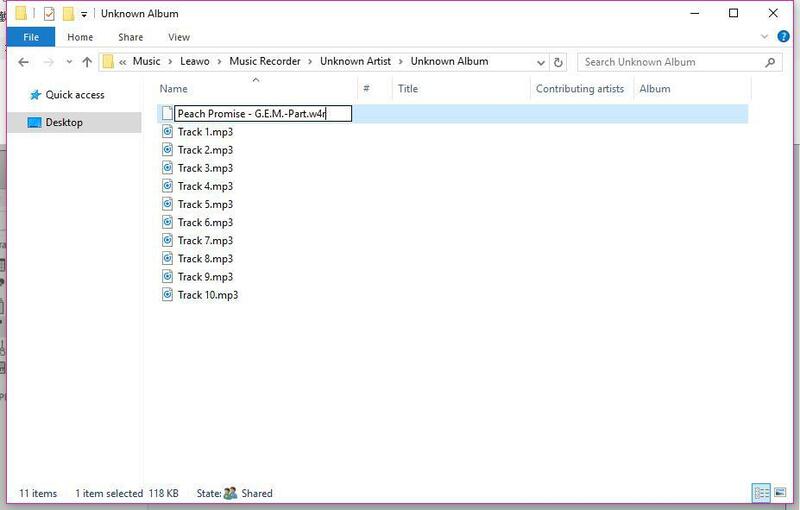 Click "Choose file" on that website, then open one of your wanted audio files in your computer. Wait for some seconds, at the same time you can enjoy listening to it, or you can pause the playing by clicking the pause button circled in the picture below. After the uploading finishes, you can begin to select the part you want to crop. Just drag the two green handles to where you want of the audio file. Or you fill in the blanks to define the time points. Then choose the "Fade in/Out" effect and the "Output Format" by clicking the two tiny triangular buttons. Just click the "Crop>>" button shown on the bottom right corner in the picture above. Then you can read a check indicating the cropping have been finished. There are two buttons for you to download what you have cropped, and to go back to re-crop. After clicking the "Download>>" button you can save the cropped part to where you choose. If you do not want to use any website to crop audio online, please read below how to crop an audio file offline with downloaded software, iTunes. Click the "File" button to click "Add File to Library", then open an audio file in your computer. After an audio file has been added to the library, please make sure that you have chosen the "Library" column, so you can read what you have added. Just right-click the audio file you have added and click "Get Info". Then a window will emerge as the picture below. Choose the "Option" column. Check the "start" and "stop" options, and then fill in the time values to crop audio. Make sure that the audio file has been chosen, and there is a blue strip on that audio file. 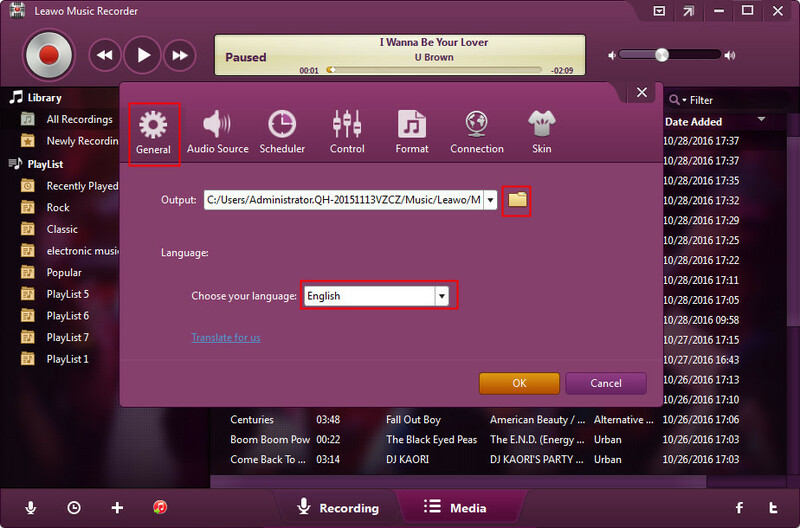 Then, click the "File" to click "Convert" and choose "Create AAC Version". Then you can see the cropping process circled in the picture below. Just wait for some seconds. Just right-click the newly emerged audio file and click "Show in Window Explorer", then a window will appear and what you have cropped is there. You can change the file extension into "something.w4r" or "something.m4r" for your iPhone, or directly transfer the M4A file to your Android phone. If you think it is too complex to use iTunes, please read below the other solution to crop an audio file offline, Leawo Music Recorder. It is software to crop audio by recording any part of an audio and save it to a file of MP3 or WAV format. You can record from your microphone or from an internal audio source such as an online audio, or a downloaded audio played on your computer. 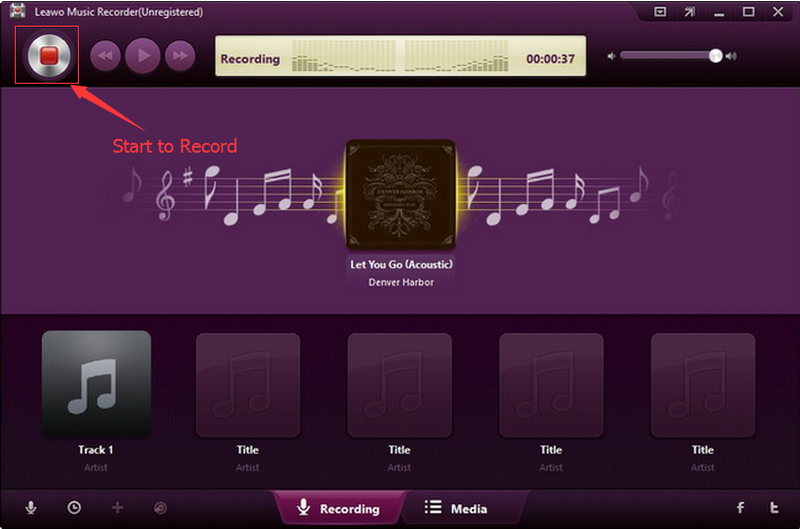 Also with it you can add what you have recorded into your iTunes by one click. Now I tell you how to crop audio being played with Leawo Music Recorder. Download and install Leawo Music Recorder. Let’s try to grab some good music from Google Play music. 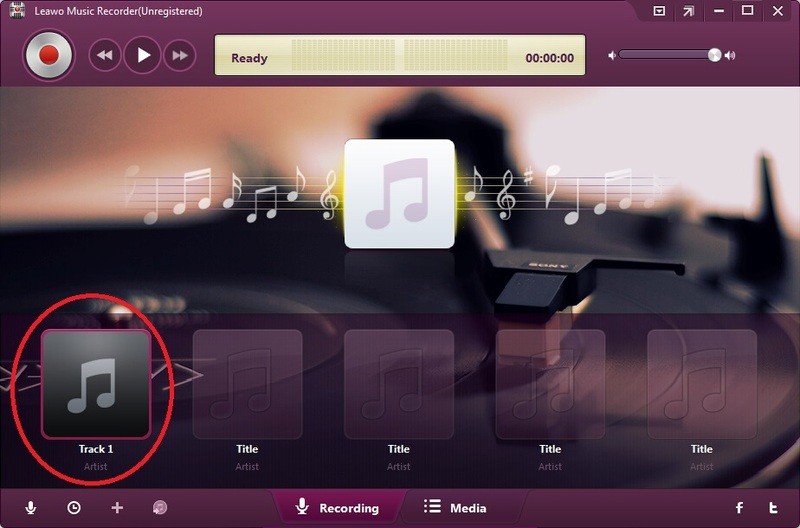 Open Leawo Music Recorder, and click the first button at the bottom left corner. Then, click "General" to set the output address by clicking the folder icon in yellow. 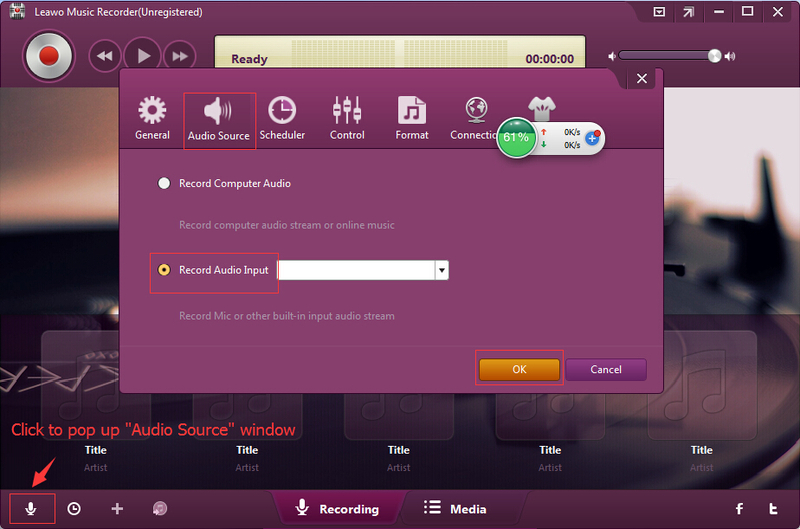 Next, click "Audio Source" to choose to "Record Computer Audio" or "Recorder Audio Input" according to your needs. 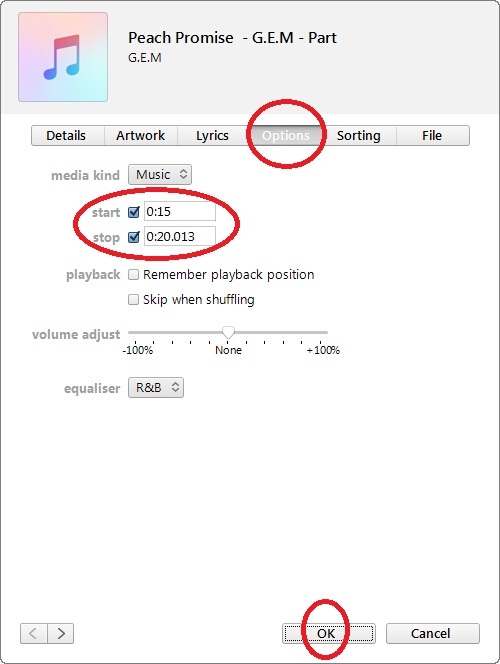 "Record Computer Audio" records any sound from computer, including online audio, computer audio, internet radio, etc., while "Record Audio Input" records audio from microphone. Besides, click "Format" so that you can set the output format as you like, by clicking the tiny triangular button next to "Output Format". Finally, click "OK" so all the necessary settings are completed. Click the recording button circled in the picture below, then begin playing the part you want to crop of an audio online or offline. After you think the cropping can end, click the recording button again. Then a track will appear at once. 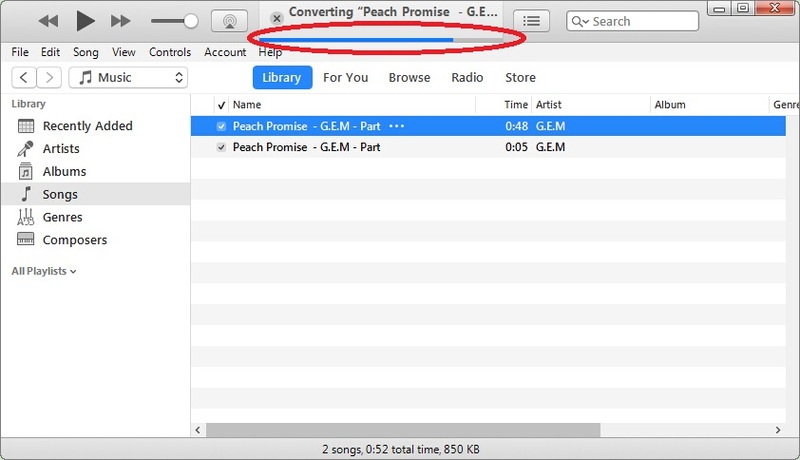 You can right click the track and then click "Show in Folder". You could also right click and then choose "Edit Music Tags" to edit music information like title, artist, album, cover, etc. So, you are able to manage what you have recorded in a folder on your computer. Moreover, by clicking the "Media" column you can manage what you have cropped also. 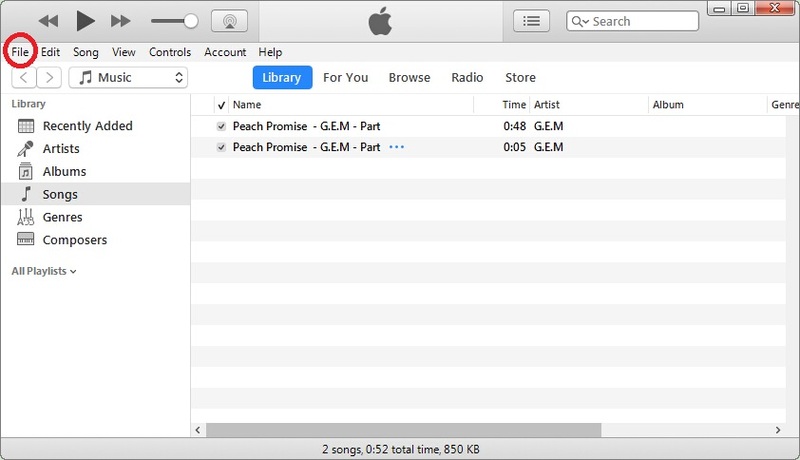 It is easy for you to choose what you have cropped and add them into your iTunes, or just edit the information of them. Other functions are ready to be found by you.